For those who are looking for something to do this weekend , April 5-7, 2019, I guess it’s safe to say that Pampanga is the place to be. Aside from the Hot Air Balloon festival happening in Lubao. 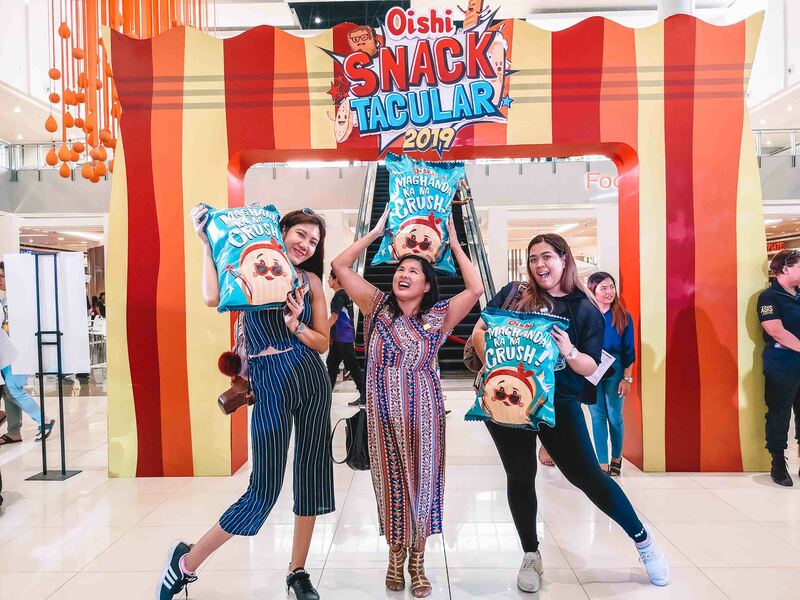 I got the chance to visit Oishi Snacktacular 2019 event at SM Clark. 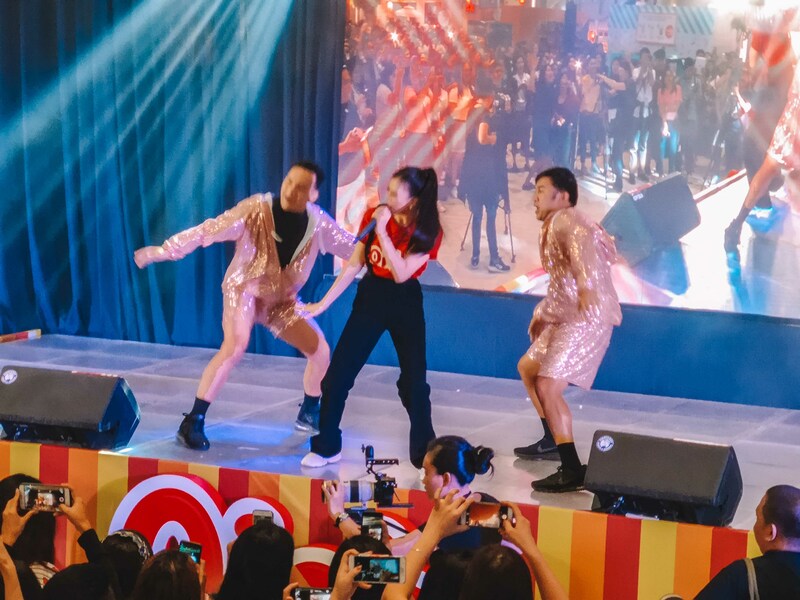 For those who saw the amazing activities they had in their events the previous year, you already know about the Snack Catcher or the Human crane, but hey, they have more activities in stored for you this year. For those in Pampanga, you are in luck cause seriously we had so much fun but if you are from Manila, you can always take the P2P to Clark. It’s not that far. 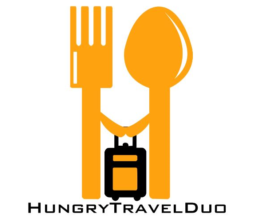 or You can also drive for 1.5-2 hours from Manila and make a day out of it. You can check out our Ultimate Guide to Pampanga and check out other things you can do while in Pampanga. 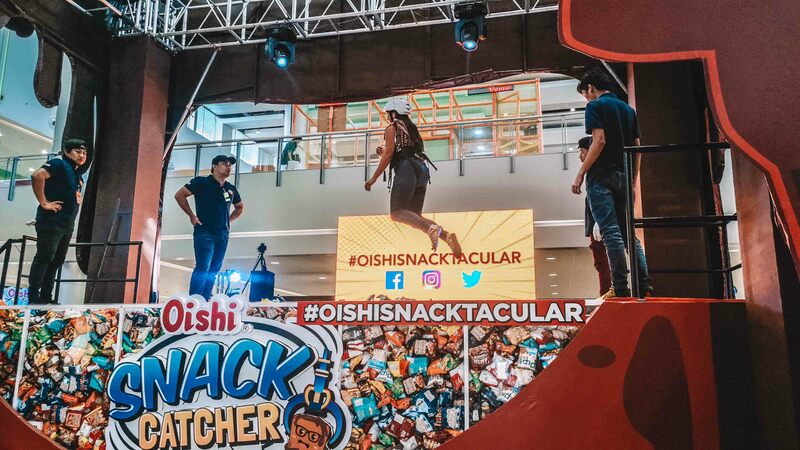 Experience being a human crane and get as many oishi snacks as you can for Php 200. This was my favorite among all the activities. Of course, there are those who excelled and got 114 pieces. I did quite well. I got 68 which is about average. The trick is to use both your arms and your legs. Once the harness lowers you down, open your legs and dig in, keep your legs bent when they lift you up. 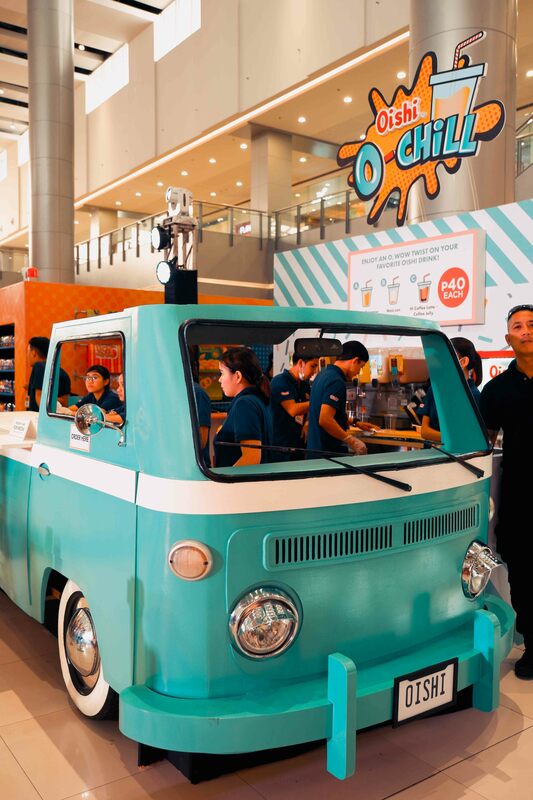 It’s a fun experience and a definite must try. 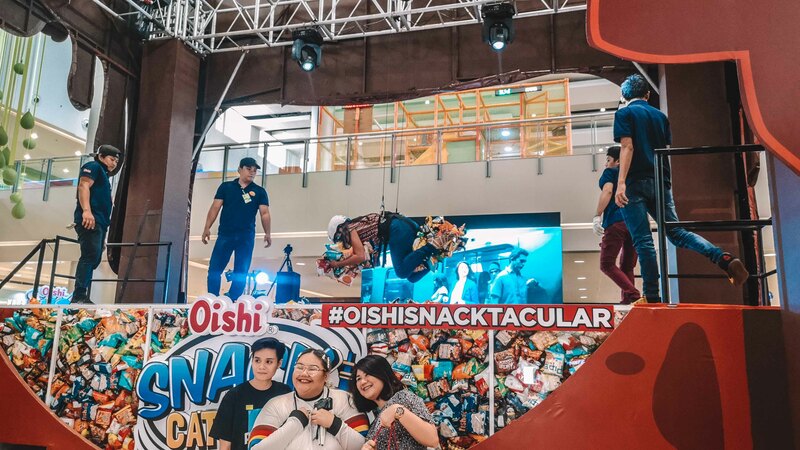 Fish for your Oishi snacks for 60 seconds for only Php 180. I am not that tall so I asked the staff about it. They are quite equipped, they have a platform ready. This one is also fun. You can fish for your favorite Oishi snacks in One minute and put it in a fishnet bag. I managed to get a lot. Literally filled mine to the brim but don’t be fooled, it’s an arm work out. Bag your favorite chips for Php 295. 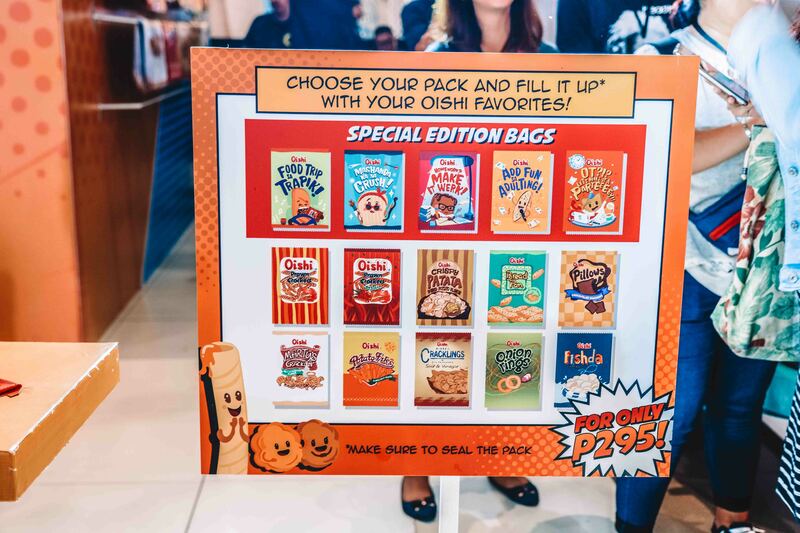 They have special edition designs that you can choose from and you are given 1 minute to choose your favorite Oishi snacks and put it in the bag. Of course, you feel the pressure but relax and exercise your grocery bagging skills. My family loves Kirei, Fishda, Marty’s Cracklings, Oishi Shrimp snacks, Breadpan and Pillows so of course I went for those but there’s more.